24mar8:00 pm11:59 pmVINCE GIORDANO: THERE’S A FUTURE IN THE PAST at Texas TheatreA LIVE PERFORMANCE BY SINGAPORE SLINGERS. 10 p.m. – Live Set from The The Singapore Slingers with Vince Giordano! Not to be missed! The Texas Theatre proudly presents ‘Vince Giordano: There’s A Future In The Past,’ with the one and only Vince Giordano! Yes, Vince will be appearing at the Texas Theatre! Following the screening, there will be a Q&A with Vince… and a performance from The Singapore Slingers, with Vince sitting in on a few numbers. Do not miss it! What does it take to keep Jazz Age music going strong in the 21st century? Two words: Vince Giordano — a bandleader, musician, historian, scholar, collector, and NYC institution. 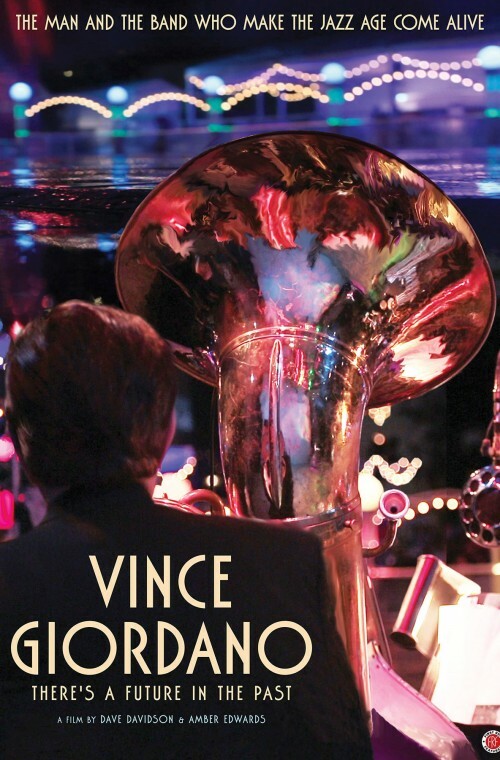 For nearly 40 years, Vince Giordano and The Nighthawks have brought the joyful syncopation of the 1920s and ‘30s to life with their virtuosity, vintage musical instruments, and more than 60,000 period band arrangements. This beautifully crafted documentary offers an intimate and energetic portrait of a truly devoted musician and preservationist, taking us behind the scenes of the recording of HBO’s Grammy award-winning Boardwalk Empire soundtrack, and alongside Giordano as he shares his passion for hot jazz with a new generation of music and swing-dance fans.